Giving away baby favors at a baby shower is a special tradition. Here are some of the different types of favors you can give to help give you an idea of which ones are right for you. Learning about the types of baby favors for your baby shower can help you decide which favors to give. While you aren’t required to give a baby favor at your baby shower, it can help guests feel appreciated for attending. It can also be fun to give back to your guests, and it offers a touch of decoration as well. There are types of baby favors for almost any budget, no matter how large or small your fund may be. If you are having a hard time deciding on baby favors, consider a few of these classic options. 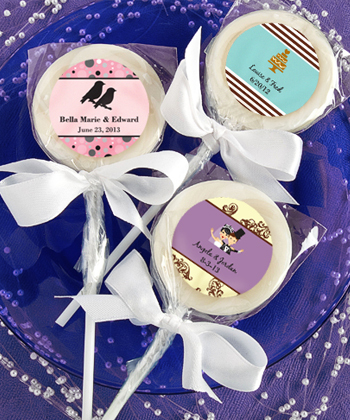 There are a lot of different types of baby favors for your baby shower that your guests can eat. These include cookies, chocolates, cupcakes, and even candies. Edible baby shower favors can sometimes be personalized with your baby’s name and the date of the shower, or they can be given individually or in clever do-it-yourself containers. Some can also be found in their own prepackaged containers. These gifts work great for both coed and women-only baby showers. 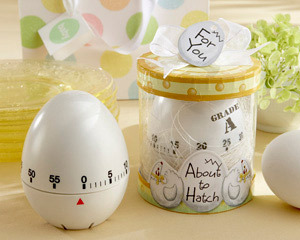 Reusable baby shower favors can be used by guests long after the shower. These are often a little more expensive than other gifts. However, they are much more eco-friendly than other gift options. Different types of baby favors can be reused, such as kitchen accessories, bookmarks, pendants, and more. These often come in prepackaged boxes, making the preparation for your baby shower easier. There is also a wide variety of plantable baby favors to choose from. Plantable favors can be both eco-friendly and fun to give. Guests can watch their baby favor grow as your child grows. They come in many different forms, including wildflower seed packets, tree seed packets, or live plants like flowers or bamboo plants. They can be found in premade pots, cute personalized packets, or you can plant them yourself. No matter how you choose to use these types of baby favors for your baby shower, your guests are sure to enjoy them. 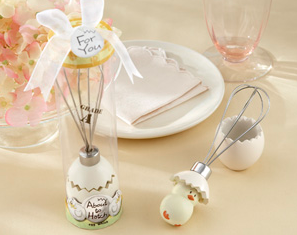 This entry was posted in Affordable Baby Favors, Edible Baby Favors and tagged lollipop, timer, whisk. Bookmark the permalink.